There are no comments for Fingerprint. Click here to post the first comment. Fingerprint with the 'arch' pattern. 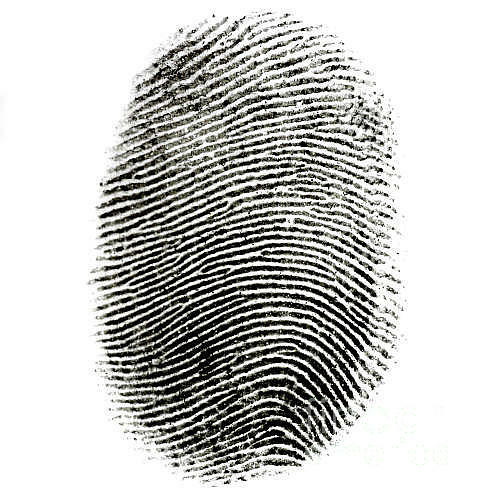 Fingerprints are often used to prove identity based on the belief that no two fingerprints are alike. In his 1892 book Finger Prints, British gentleman scientist Sir Francis Galton noticed that the papillary ridges on the fingertip often end or split and rejoin one another. These points are now known as "ridge characteristics," "points of similarity," and "Galton details." There are about thirty-five to fifty such points on a typical finger. A fingerprint examiner attempts to match found fingerprints by correlating these "points" with a previously known fingerprint.